What’s going on these days in Sunland Park, N.M., home to the controversial Camino Real landfill/environmental park? Last time we wrote, New Mexico Environment Department Secretary Ron Curry was scheduled to decide by Nov. 10 whether to grant the sprawling landfill a 10-year extension. The Camino Real landfill (its owners call it an “environmental park”) sits near one of the largest aquifers in the Southwest and takes in 90 percent of its trash from Mexican maquiladoras and the nearby city of El Paso. Posted in environment, human rights, role of government	| Tagged Camino Real landfill, Michael Casaus, New Mexico Environment Department, Sunland Park N. M.
To our wonderful Clearly New Mexico community, we want to thank you for your support and energy. Far beyond this site, it is the work we are dedicated to, making our state healthier, safer, more equitable, and more democratic that is worth giving thanks for this holiday. Whether your efforts are improving our schools, ethical reforms in our political systems, or speaking on behalf of the most vulnerable populations that are too often forgotten, thank you! As you can see from the stories on our site, it is exactly those efforts that inspire the writers of Clearly New Mexico. Often, these are the stories not deemed “newsworthy” elsewhere – youth working to beautify their communities, conversations about keeping the internet accessible to all, and Indigenous efforts to protect water are not the things we see much of in the media, but which have made it to our site in just the last week! * First, a medical fact – yes, turkey does have an amino acid called trypophan which causes sleepiness. So, get those important political, philosophical, and spiritual conversations out of the way before the turkey-induced daze!. And before you ask, NO, this does not give you lisence the next day to blame something you say to the in-laws on the trypophan! Someone out there has something to be thankful about. NY Times: American businesses earned profits at an annual rate of $1.659 trillion in the third quarter, according to a Commerce Department report released Tuesday. That is the highest figure recorded since the government began keeping track over 60 years ago, at least in nominal or noninflation-adjusted terms. While others aren’t so lucky. Even amid the most turbulent economic conditions since the Great Depression, US corporate profits are at an all time high, according to a Tuesday report (PDF link) by the US Bureau of Economic Analysis.At the same time, America’s poor and middle classes are under siege, with a mostly stagnant job market that has shown only marginal signs of improvement. Can’t they even say, “please”? Chris Farrell in Business Week: “The rise in income inequality is well-documented. Median income began stagnating in the early 1970s, and income inequality started to surge in the early 1980s. The benefits of America’s economic growth since then have mostly gone to a wealthy minority, while the majority of workers have seen their earnings stagnate at best and decline at worst. The long-term trend is toward a small group of financiers, chief executives, professional athletes, entertainers, and other earnings titans pocketing much of the wealth generated by society. Happy Thanksgiving to the rest of us! On Nov. 19, as expected, outgoing Navajo Nation president Joe Shirley approved a settlement that gives Navajo and Hopi tribes limited rights to water from the Colorado and Little Colorado rivers. Many members of the Navajo tribe had vehemently opposed approval of the Northeastern Arizona Indian Water Rights Settlement Agreement, saying the agreement didn’t go far enough in securing water rights for Navajos. Critics also said that the the question of whether to approve of the settlement should have been decided by all Navajos, not just Navajo politicians. Clearly New Mexico guest poster Anthony Fleg gave good background about the actions leading up to the Navajo Nation Council of Delegates vote on the settlement on Nov. 4. Shirley signed the agreement days later, following the council’s approval. For even more background about opposition to the settlement, here’s a link to a locally-made film about the settlement and the struggle for equitable and fair water rights on the Navajo Nation. 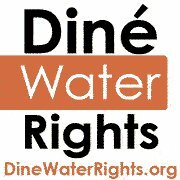 The film was made by Concerned Citizens For Dine Water Rights, a grassroots effort for and by Dine people. Albuquerque – How can we advance the rights of the world’s Indigenous Nations through treaties? This was the central question Monday evening as Indigenous leaders from Mexico, Canada, and the U.S. gathered at a special session of the 67th Annual Convention of the National Congress of American Indians (NCAI) in the Albuquerque Convention Center. Central to the discussion was the United Nations Declaration on the Rights of Indigenous Peoples (UNDRIP). More than simply the sum of its 46 Articles that affirm the rights and sovereignty of Indigenous Nations, this document sets an important precedent by recognizing these groups at the level of the United Nations. Adopted by the UN General Assembly in 2007, the U.S., New Zealand, Australia and Canada were the only countries not to sign the declaration initially. As of last week, when Canada added their signature, the U.S. is now the only country who has not signed. “We expect President Obama to sign this declaration on behalf of the United States in the near future, and it is important that there is not a group of non-Indian people telling us how it is going to be implemented,” said Frank Ettawageshik, Executive Director of the United Tribes of Michigan. Indeed, attention at the session was more focused on steps needed once the U.S. signs, with sentiment hopeful that Obama will reverse the Bush Administration’s position on the document. At the NCAI meeting, a resolution being proposed calls upon the president to create a commission of Indigenous leaders to implement the UNDRIP once it is signed by the U.S.
Andrea Carmen from the Yaqui Nation (Mexico), and the Executive Director of the International Indian Treaty Council reminded those gathered the long road toward United Nations recognition. In the 1920s, various Indigenous leaders arrived at the UN’s predecessor, The League of Nations, only to be turned away. “Finally, in 1977 we were invited to Geneva for the UN Conference on Discrimination against Indigenous Peoples of the Americas, but it took another three decades before we had the support in place to talk seriously about the rights of Indigenous peoples,” she noted. Even as the UNDRIP was being drafted, there was tension around the voice given to the Indigenous voices involved, with the Indigenous delegation walking out of negotiations in 1996 and then staging a hunger strike in 2004 to show their disproval with the process. To some at the gathering, the talk of treaties left doubts. An elder from the Tanana Tribal Council (Alaska), Curtis Sommer, voiced his concerns. Making and keeping the Internet affordable and accessible to all people is now the great equalizer in a world that increasingly depends on online communication. People in New Mexico’s many rural and underserved communities know far too well that keeping the Internet free and open is crucial if people are to get the same educational, health, and business opportunities as everyone else. The Internet is essential, and all of us need access to these new “electronic bootstraps” in a world where such crucial things as job applications, governmental forms and even filing a complaint with your local police department MUST be done online. Right now, big cable and telephone companies are trying to dominate the conversation on the future of the Internet. They are trying to convince Congress and the American public that private, corporate control of the Internet is needed to insure the viability of this now public medium. On Nov. 2, an important environmental victory occurred that was almost – but not quite – eclipsed by Election Day news in New Mexico. Perhaps those of you who worry about the specter of manmade climate change heard that the state Environmental Improvement Board met and approved a regional cap and trade program to cut carbon emissions in New Mexico. The decision puts New Mexico in the forefront of the necessary movement to control carbon emissions, which scientists agree are the major cause of global warming. In an interview with the New Mexico Business Weekly, Mariel Nanasi of the Santa Fe nonprofit New Energy Economy praised the EIB for approving the most comprehensive greenhouse gas emission reduction rules in the nation. The decision will require about 63 facilities in New Mexico that emit more than 25,000 metric tons of greenhouse gases annually to start cutting emissions by 2 percent per year below 2010 levels, beginning in 2012. The rule applies to stationary sources of emissions, rather than transportation or other sectors. In New Mexico, such stationary facilities mainly include coal- and gas-fired power plants, and oil and gas operations. The EIB’s decision also authorizes New Mexico’s participation in the Western Climate Initiative, which includes a cap-and-trade program for affected industries. Under that system, businesses that lower emissions faster than required will receive credits that can be sold to industries in other WCI states. The credits could be used to help the slower-moving businesses comply. Before approving the plan, which was designed and proposed by the New Mexico Environment Department, the board voted unanimously to adopt a cost-containment amendment. Under that clause, if the costs of adopting the rule reach $45 per ton of emissions, the Environment Department must come back to the board with additional cost consideration options, said Sandra Ely, the Department’s energy and environmental coordinator. In December, the EIB will meet to consider a carbon cap proposal brought forth by New Energy Economy. That proposal asks the state to implement a statewide cap – you can read more about it here. It’s not known what the EIB will decide on the NEE proposal. But it’s clear that yesterday’s decision places New Mexico in a much-needed role as a leader in not just climate change awareness – but also in taking real action on climate change. In this Clearly video extra, New Mexico Public Interest Research Group advocate Erin Eccleston talks about her groups efforts to engage and involve students in voting yesterday at the University of New Mexico. We at the Center for Civic Policy are proud and excited to work with Student PIRGS, because getting and keeping young people civically engaged is critically important! A word of caution – the visual aspect of the video is a bit blurry….but the audio is good and the message is inspiring!